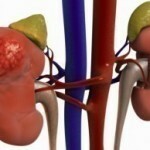 There are numerous ailments that can affect the kidneys. Both the doctor and patient need to be aware of the signs so correct treatment can be administered. There are different kinds of ailments that may arise. These include chronic kidney failure, analgesic nephropathy and kidney cancer. 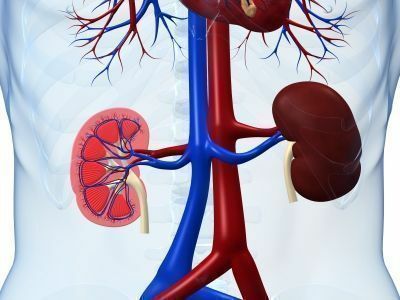 Other possibilities are nephritis and renal disease. All of these will exhibit their own symptoms. However there are major and minor signs that are present in most cases. These will include increased urination at night. The urine may appear pale or too dark. Slight or severe pressure may be felt when urinating. The ankles or hands may swell up. The person gets tired very quickly. An unpleasant taste is in the mouth. Vomiting and nausea is experienced. Once anemia sets in, the patient may feel very cold. Some patients also report their hair falling off. The physical weakness makes some feel very sleepy. There is also an itchy feeling. However the itch isn’t actually on the skin; it feels like it is in the bone itself. Blood tests are performed when kidney problems are suspected. There will also be tests to determine the amount of sodium and potassium in the system. Separate exams for the uric acid will be performed. The doctor will also perform physical examinations. This helps in determining if the ailment is chronic or acute. Acute ailments are caused by injury or infections and can be cured. Chronic disease is more complex and difficult. Ultrasound is usually done as well. Most doctors will also examine other organs to see if they have been affected. 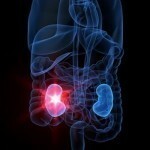 These tests are done to rule out other ailments and pinpoint the exact kidney trouble that is affecting the patient. The treatment to be given hinges on the disease that is diagnosed. By far the most common is dialysis. 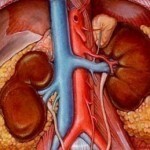 The modes of treatment can be either hemodialysis or peritoneal dialysis. 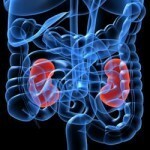 The process involves taking out the toxins the kidney can no longer process. Essential nutrients are also inserted in the body. Some ailments will require a blood transfusion. Numerous antibiotics could be prescribed, but the dosage is entirely up to the doctor. Coursing the medication through the veins is now possible. The treatment will of course include plenty of rest. The best protection is prevention. One way is to keep the blood pressure in check. The maximum level should be 130 /70. Blood pressure can be kept at this level by avoiding fatty foods and stressful situations. Inhaling cigarette smoke must be shunned. Even if one doesn’t smoke, steering clear of second hand smoke is necessary. Doctors also suggest reducing or stopping intake of alcoholic beverages. Too much of it puts a lot of pressure on kidneys. A good substitute would be fruit juices and water. Kidney problems and other ailments are limited when sauces and spicy foods are taken in moderation. A kidney disease is a serious condition that warrants immediate attention. If after taking all precautions symptoms manifest, one should immediately seek the doctor’s attention and advice. Definition of Kidney Disease Kidney disease refers to any disease that impairs kidney function. It is the ninth leading cause of death in the United States and is often associated with diabetes and high blood pressure.